“Lies, damned lies, and statistics” is a phrase whose origin is lost in history. But statistics are very much applicable in today’s modern business world. 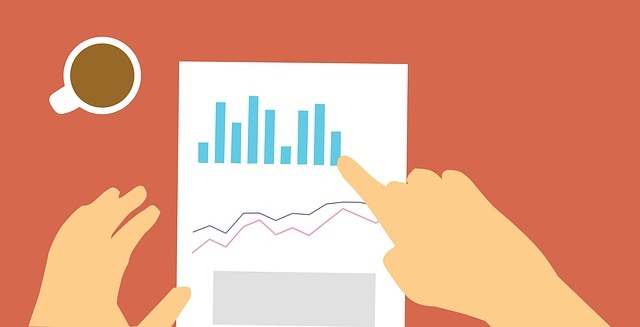 With success or failure riding on making the best choices on a range of business issues, the use of statistics delivers the power of numbers to guide and support the decisions you make every day. Today we call it business analytics. The best decisions are made on the basis of facts. Not a “gut feeling,” or mystical sense, or simple habit. The more you know, the better able you will be to take your company in a direction that will lead to a more predictable outcome. Therefore, analytics, the systematic use of data and facts to make decisions, should be part of the process. You already have an enormous amount of data in your fuel oil or propane company. Sales figures, gallons purchased, profit margin, customer concentration, payroll costs, delivery amounts – the numbers contained within your various files can be dizzying. But within the whirlwind of facts and figures is the truth. The trick is organizing the data and selecting the right facts to help you predict the future – and make better decisions. If you think this kind of high level analysis is only available to giant corporations, think again. Modern technology has made the power of analytics available to any business. For example, the Ignite® Analytics function in our Ignite® software suite gathers, sorts, and presents information for propane and fuel oil companies in well-organized and easily usable ways that can be saved, shared, and restructured as necessary. What are some typical uses of analytics for energy retailers? Comparing K factors from one season to the next to identify trends. Determining the most profitable services in order to promote them to more customers. Identifying clusters of customers to make deliveries more efficient. Pinpointing common characteristics of “best” customers to improve marketing. Pinpointing common characteristics of “problem” customers to help prevent losses. Track sources of new customers, and track trends of reasons customer leave your company. Measure the effectiveness of advertising and marketing efforts. The key is to choose the information that is most important to your business, and then set up reporting and analysis so that it is simple, easy and fast to access. That will make it easier for you to get into the habit of delving into the facts when faced with a decision such as hiring, contracts, adding new vehicles – a wide array of critical choices. Find out more about how Blue Cow Software’s Ignite® Enterprise management software system can put the power of business intelligence in your hands by clicking here. Or schedule a demo of Ignite® Analytics by calling us at (888) 499-2583.